For those who missed the big Louis Prima bash at The Basement on January 20th, it was an incredibly memorable night. We had our three MasterChefs slaving away in the kitchen – Aaron Harvie, Jonathan Daddia and Matt Caldicott – and a truly impressive music night, with Sarah J Hyland, Simon Bartlett, Pia Andersen and Frank Bennett rocking the joint with The Cocktail Cabinet swing band. The horns were wailing and the band’s drummer bashed away on “Sing, Sing, Sing” like nobody’s business. Special thanks for the night go to Rob, The Basement’s head chef, and his second-in-command Marvin, who came in to help out solely for the night. 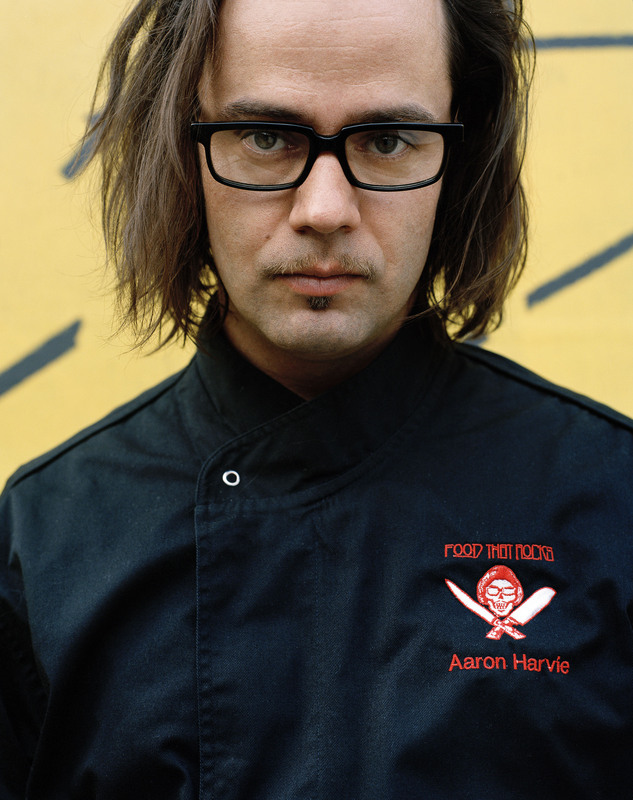 It was a big responsibility to work with three TV cooks who hadn’t been in a commercial kitchen since the show ended several months ago, and it took three days of prep and a lot of sweat (especially for our main man, Aaron) and nerves to pull it off. We thought we’d share some of the kitchen bustle, so have a look at the time-lapse video we captured from the night, courtesy of Xorigin’s Darryl Thoms and his crew. Adding to all that pressure was a crowd scattered with heaps of notable faces, including – yikes! – real-deal Italian chef Danny Russo from The Italian Kitchen & Bar (ex-Beresford and Lo Studio), Australian Association of Food Professionals president Stewart White, Vogue Living’s Madeleine Hinchy, delicious. magazine’s Alison Pickel and Jessica Brook, food bloggers Tony Hollingsworth, Rebecca Varidel, and Lorri Loca, and a cameo by GourmetRabbit’s Denea Buckingham. That’s not to mention Harvie’s wife and former Young Talent Time star Natalie Miller, burlesque diva Kitty Van Horn, new school go-go dancer Annette Twemlow and a whole crew of swing and rockabilly personalities. For a look at some of the crowd highlights, check out this photo gallery, courtesy of photographer Kelsey Aland. Three MasterChefs = one bloody great night! It’s amazing how you start one thing, and more things grow out of. What started out as a simple idea of pairing good food with good music, then grew into a 100th Birthday gala for my favourite swing legend, Louis Prima, and soon evolved to include a fantastic Italian-American created by one of my favourite MasterChefs, Aaron Harvie. And the music – the music! – has surpassed all expectations, where we now have a three-time Aria Awards nominee like Frank Bennett taking the stage, along with the lovely jazz singer Sarah J Hyland, torch singer Pia Andersen (who’s other gig doing 1950s stylings makes Mad Men look slack) and the talented Simon Bartlett leading the Cocktail Cabinet swing band. Really, I had much more basic ideas in mind. So I can’t tell you how hard it is to not be overcome with excitement that we now have – count ’em – THREE MasterChef stars in our kitchen for the night: Thursday, 20 January if you’ve missed my persistent Twitter and Facebook plugs. 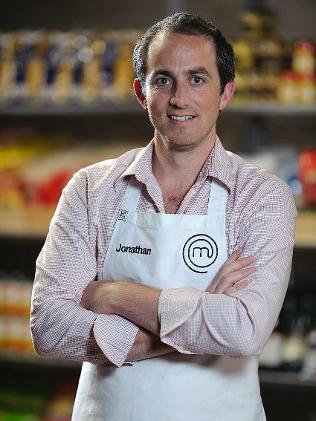 As of today, Aaron confirm that he’s recruited fellow contestant Jonathan Daddia to work in the kitchen, joining the recent, equally exciting addition of Matt Caldicott to the fold. Great food, great music, a great venue and – increasingly – a great audience. I really hope you’ll be there to enjoy the night, because it is really shaping up to be a special one. It’s only $28 for the music, and $90 (when you break it down, a reasonable $62 extra for three courses) for the dinner and show. Either way, it’s going to fab. And just to get you in the mood, check out the video we put together on the event, at the top of this post, which builds upon the radio spots that Eastside Radio (89.7) will start airing later this week. It really captures the spirit of the night, as well as Prima’s cheeky personality. Hope to see you next week. For bookings, more details and a breakdown of the menu, click here to go to the Moshtix site.